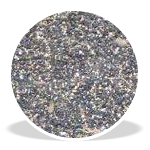 Perm E Trak is a 38mm profile Porous Polyurethane Resin blended with recycled rubber and a choice of coloured aggregates. The surface is “cushioned” under foot, resistant to damage from golf shoes, has a load rating of 10 tonnes per axle (on a 100mm sub base), and is virtually maintenance free! 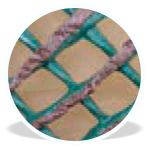 A polymeric grass protection mesh that offers protection to the crown of the grass and is suitable for light traffic such as pedestrians and golf trolleys. ECO Turfguard is supplied on the roll and is easy to install with fixing by steel U pins. 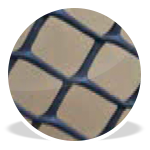 A grass protection mesh that offers a higher degree of protection than Turfguard. Also supplied on the roll it is easy to install and is fixed using steel U pins. Use of the Premium grade will provide protection against surface ‘rutting’. Heavy duty, interlocking polymeric paver system, suitable for constructing buggy or maintenance tracks around golf courses and sports fields. Can also be used to create additional/overspill parking areas. 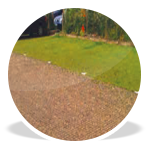 Cellular pavers can be grass or gravel infilled.